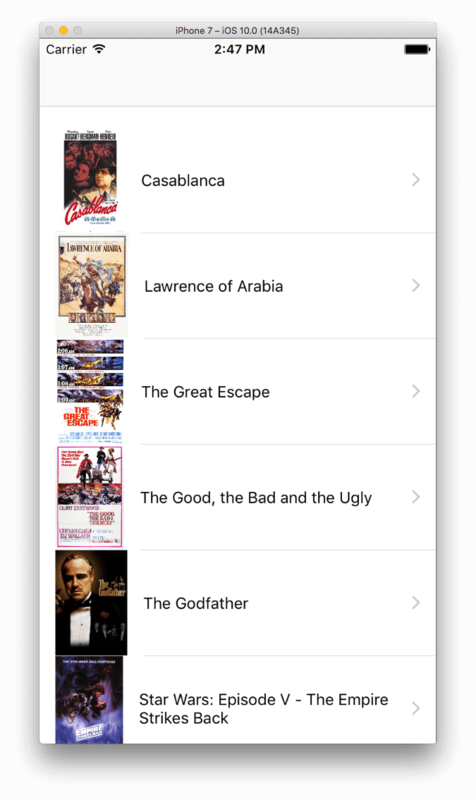 let createMoviesTableQuery = "create table movies (movieID integer primary key autoincrement not null, title text not null, category text not null, year integer not null, movieURL text, coverURL text not null, watched bool not null default 0, likes integer not null)"
let createMoviesTableQuery = "create table movies (\(field_MovieID) integer primary key autoincrement not null, \(field_MovieTitle) text not null, \(field_MovieCategory) text not null, \(field_MovieYear) integer not null, \(field_MovieURL) text, \(field_MovieCoverURL) text not null, \(field_MovieWatched) bool not null default 0, \(field_MovieLikes) integer not null)"
query += "insert into movies (\(field_MovieID), \(field_MovieTitle), \(field_MovieCategory), \(field_MovieYear), \(field_MovieURL), \(field_MovieCoverURL), \(field_MovieWatched), \(field_MovieLikes)) values (null, '\(movieTitle)', '\(movieCategory)', \(movieYear), '\(movieURL)', '\(movieCoverURL)', 0, 0);"
let query = "select * from movies order by \(field_MovieYear) asc"
let query = "select * from movies where \(field_MovieCategory)=? 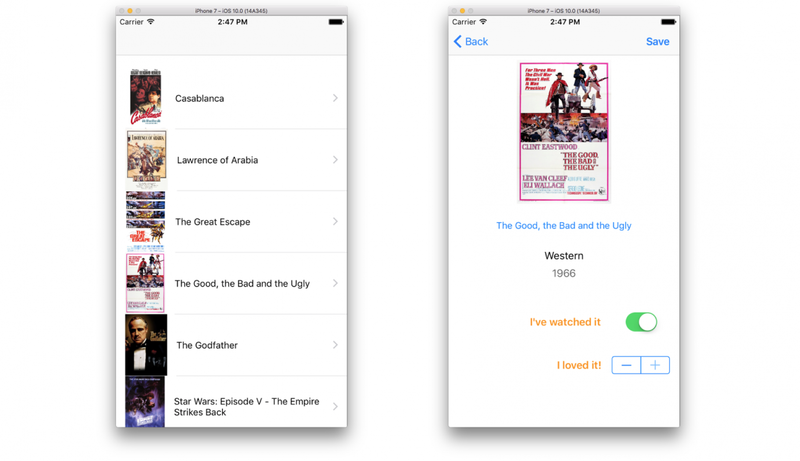 order by \(field_MovieYear) desc"
let query = "select * from movies where \(field_MovieCategory)=? and \(field_MovieYear)>? order by \(field_MovieID) desc"
let query = "select * from movies where \(field_MovieID)=?" 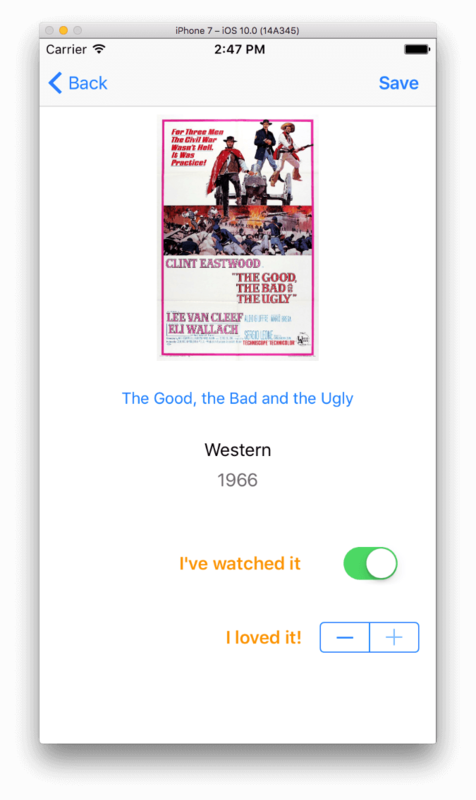 let query = "update movies set \(field_MovieWatched)=?, \(field_MovieLikes)=? where \(field_MovieID)=?" 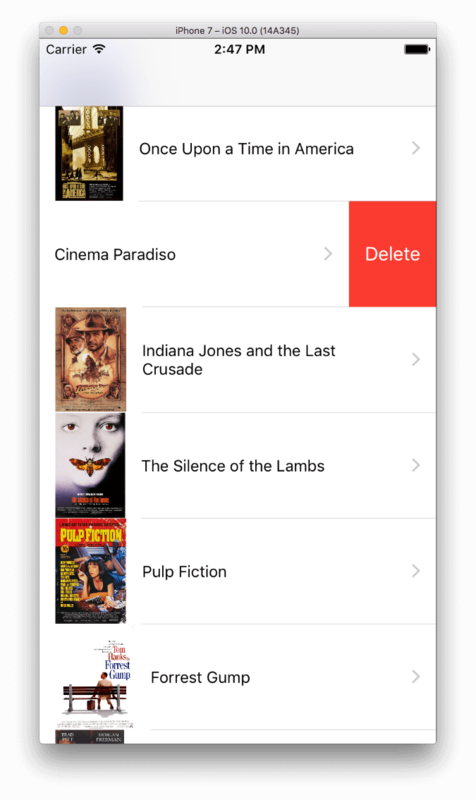 let query = "delete from movies where \(field_MovieID)=?"